The Kickoff is your secret weapon to excel in your fantasy league, office pool or when talking college football with co-workers and online friends. While we aren’t affiliated with the Vegas oddsmakers, our newsletter is a useful tool in prognosticating about games. Our Power Ratings use a statistical formula in much the same way the BCS system ranked teams, giving readers a powerful tool for comparing football programs and anticipating the outcomes. What Will I Find in the Kickoff? Between August and January, we publish 17 weekly issues that are available in print and electronic versions. We put out an additional 6 monthly issues (February - July) covering recruiting, spring practice and transfers. Instead of spending hours flipping channels to sort through TV shows that only cover the highlights from the week's key matchups, The Kickoff is a great resource at your fingertips to see the full range of what's happening across college football from week-to-week. Our "Kickoff Thermostat" tells you which teams are hot and cold, plus you get the key details in the Games of the Week. For just $25, you can buy a 17 week Email Subscription that will push a 6-page PDF version of our newsletter to your inbox each Monday morning throughout the regular season and beyond the national championship game. A full year subscription (23 issues) is $33. If you prefer something you can hold in your hands and keep as a souvenir of the season, for $43 you can subscribe to our printed version sent First Class Mail through the US Postal Service. A full year subscription (23 issues) can be yours for $57 a year. The Kickoff EARLY BIRD SPECIAL: Buy any Individual Subscription, Get a Free PDF/Email Subscription for family, a buddy or your boss! (offer ends soon so act now!). Some of us just know that football is more than just a mere game. It’s a war fought year after year, each winning season added like a brick to the foundation of greatness. College football invokes school pride as you get skin in the game and hope against hope to win bragging rights. You know when to talk big and dread when you must eat crow. If College football is your passion, The Kickoff is an important tool for expanding your knowledge about the teams and their progress as the season goes forward. It’s easy to be a Monday morning quarterback, but you can impress your friends and coworkers with your uncanny insights into the game. They’ll be asking you for your opinion before choosing their picks on Fridays. 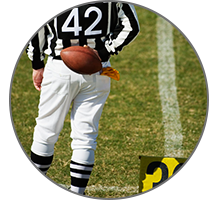 The Kickoff puts the vital information you need at a glance, along with abbreviated commentary that digs a little deeper, making it fast and easy to study up on the weekend’s most anticipated matchups and the controversies that make the sport so much fun to follow. Think of The Kickoff as your secret weapon. We’ve earned our reputation as one of the most accurate sources for NCAA football scores, records, relevant statistics, and unique articles of interest. 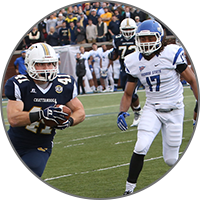 You get concise, easy to find details about every team in the universe of college football, including Season Schedules and Results, as well as Statistics and Subdivision Standings. We tell you who the favorites are at home and on the road. Our Power Ratings use a statistical formula to rank the teams and can be a powerful tool for prognosticating the outcomes. We tell you the key matchups so you save time discovering which games to tune into. We also include unique articles of interest and entertaining trivia. 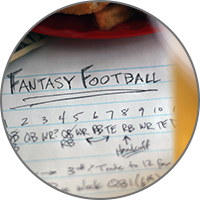 The Kickoff is your secret weapon to arm yourself with knowledge so you have an opportunity to improve your performance in fantasy sports leagues and gain a competitive advantage when talking sports with your buddies and rivals.